The current untraceable flow of ’dark money’ to nonprofit organizations with political agendas is justified by the Supreme Court’s decision in the Citizens United case of 2010, when the ultimate voices of justice in our nation ruled that unlimited campaign contributions are allowable as a measure of ‘free speech,’ as guaranteed by the Constitution. 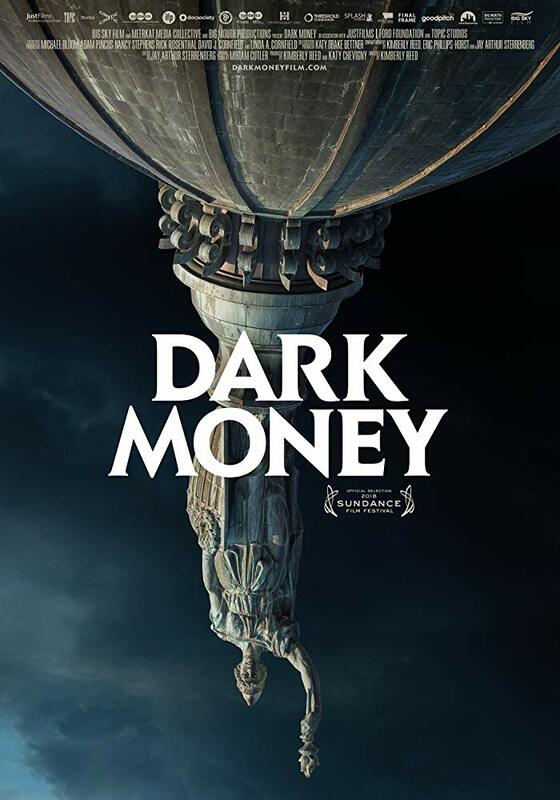 Dark Money makes it clear that the current unregulated flow of dark money to influence the outcome of elections impinges on the rights of US citizens to expect a one vote per person system to elect the candidate that is favored by the majority of voters. Elections are essentially being bought. Our government is secretly being bought by those who have sufficient funds to put their personal and corporate ‘special interests’ ahead of what unsuspecting American citizens might deem the best policies to sustain every aspect of our nation’s well-being. Reed follows a Montana-based independent investigative journalist, John S. Adams, as he takes a penetrating look at the conflict between the states uniquely strict election funding regulations and those superimposed by the Supreme Court regarding campaign contributions. Adams and Montana officials and activists track dark money back to its sources and pull the veil back on specific corrupt individuals and corporations who are abusing the basic tenets of our government. Although the film and its investigation are set in Montana, the issues brought to light affect us all. Dark Money is an extremely important documentary, a political shocker and wake up call that should be mandatory viewing for all Americans.